A hospital discharge is the process of moving a patient back into the community. Whether the patient returns home or goes to a different health-care facility, it’s important to plan ahead and make the transition as safe and smooth as possible. Patients are discharged from the hospital when they no longer need such a high level of care. Healing at home tends to be more comfortable and restful, patients can move more freely in a familiar environment, and the risk of infection is much lower. At home, you and your family members can also discuss long-term plans in a calm setting and at your own pace. With careful planning, patients should have all the in-home supports they need. Hospitals have discharge planners who help patients and their families or caregivers prepare for discharge. At some hospitals, discharge planning begins shortly after patients arrive. At other hospitals, it starts a few days before the patient is discharged. Below is a list of topics a discharge planner might discuss with you. Write down any additional questions you have and make sure they are covered when you meet. There is a lot of information to take in when planning a hospital discharge. If you are the patient, ask a friend or family member to take notes. Ask the discharge planner to put everything in writing, including appointment dates and any phone numbers you might need. Also ask when your community health-care providers, such as your family doctor or specialists you will see, will receive information about the hospital treatment. Following instructions from your health-care team, including advice about nutrition and exercise, is the best way to promote wellness and avoid returning to the hospital. If there are any tasks that you don’t think you can handle on your own, share your concerns with the discharge planner. He or she may have suggestions to make the task easier or to find assistance. People who need help with personal care (bathing, eating, toileting, etc.) can benefit from home care services, for example. Your discharge planner or a home care agency may be able to help you investigate funding options, including insurance benefits. 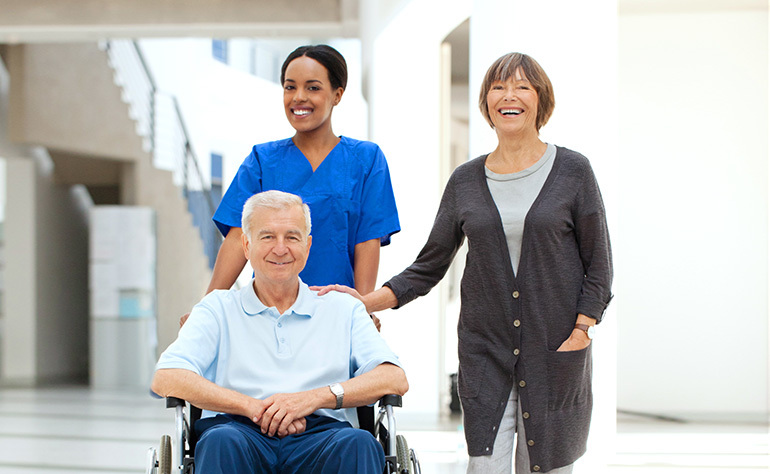 Going home from the hospital is easier and safer with help from Bayshore Home Health.